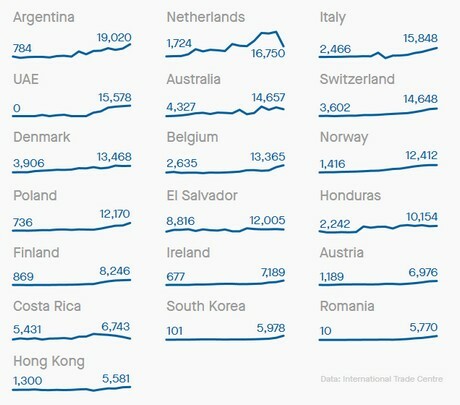 Qz.com reports that, buoyed by the North American Free Trade Agreement (NAFTA) and an end to the US prohibition on Mexican imports, the number of avocados imported to the US soared from just 60,000 tons in 2001 to a little less than 870,000 tons in 2015. 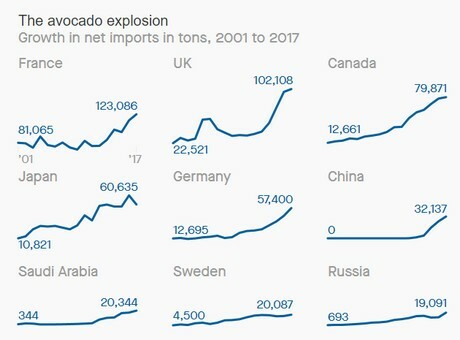 The volume of avocados grown in the US barely budged during this period, hovering around 200,000 tons per year. A growing Mexican-American population in the US and changes in attitudes towards mono-saturated fats, also likely contributed to the growth.